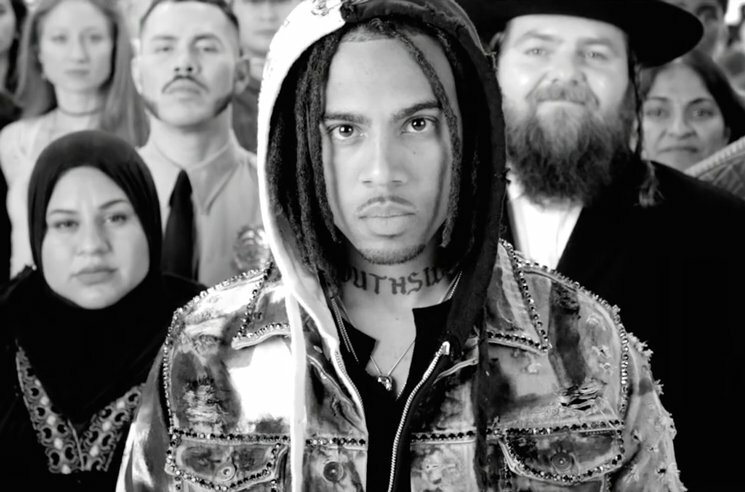 After sharing a lyric video for the song last month, Vic Mensa has now unveiled another visual for his Ty Dolla $ign-assisted song "We Could Be Free." The clip opens with a pregnant woman being assaulted by a police officer at a protest, with the clip then following her son as he grows up witnessing and experiencing police brutality on his own. The clip was previously only available through Apple Music. The Autobiography is out now. Watch the video for "We Could Be Free" in the player below, and read our conversation with Mensa here.